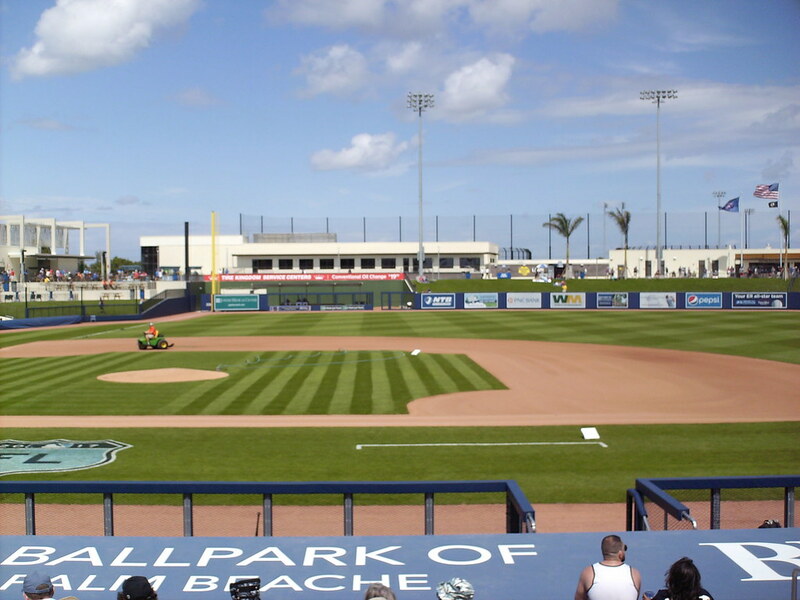 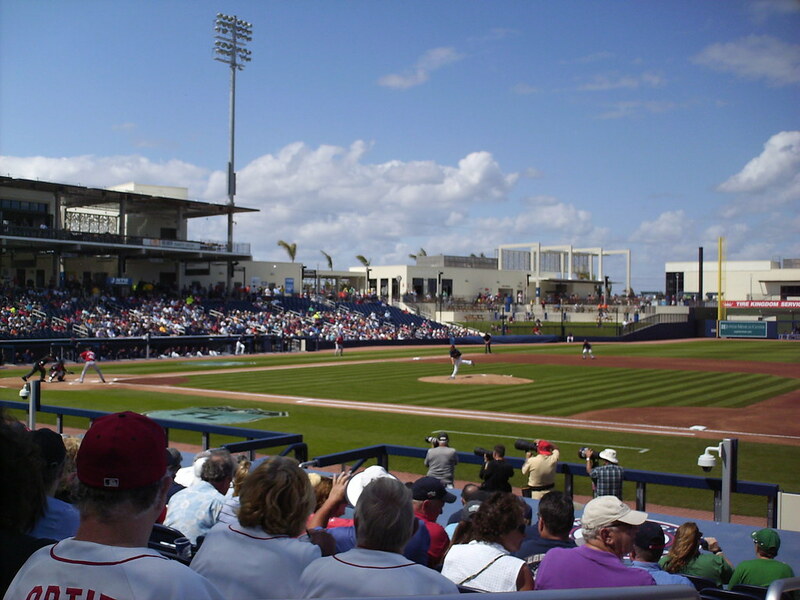 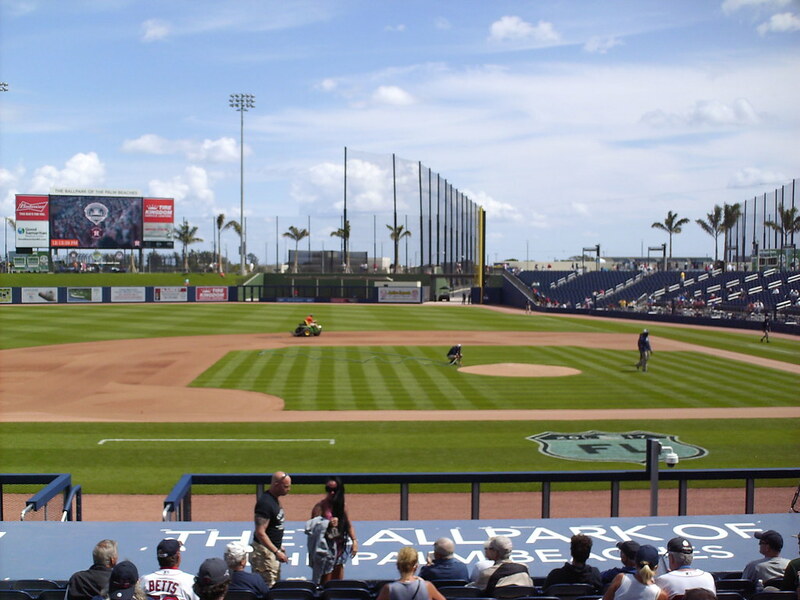 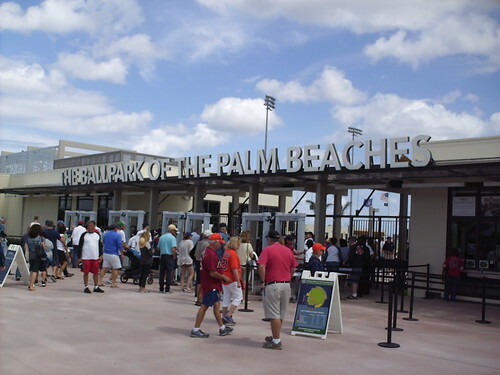 The view from behind home plate at FITTEAM Ballpark of the Palm Beaches. 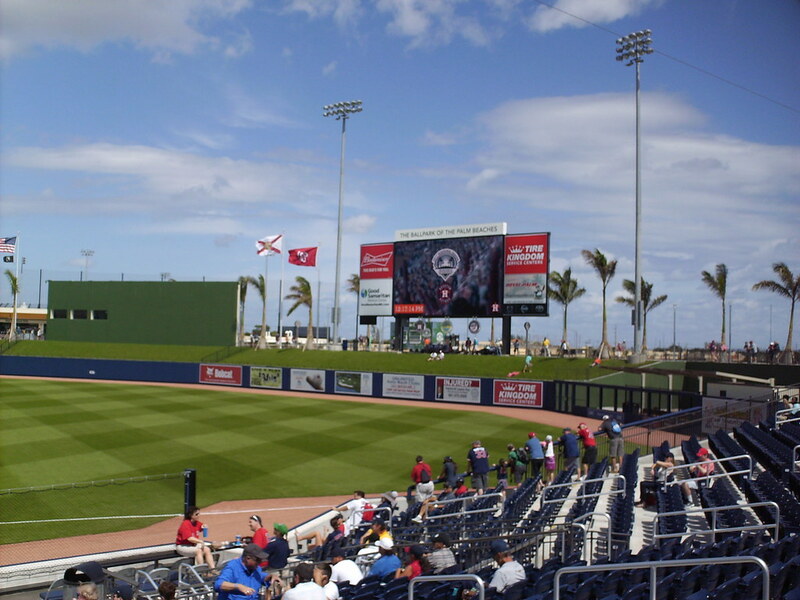 The grandstand at FITTEAM Ballpark, as seen from the right field corner of the park. 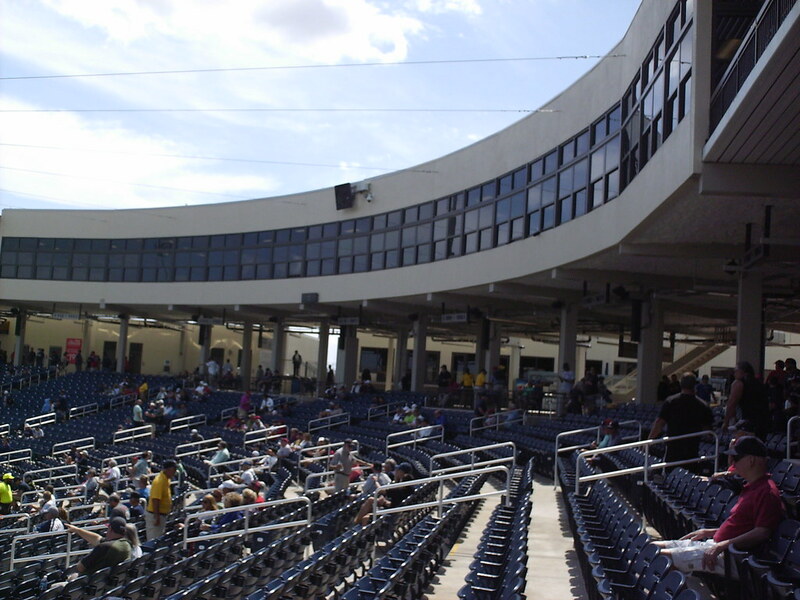 The pressbox forms the roof to the open main concourse behind home plate. 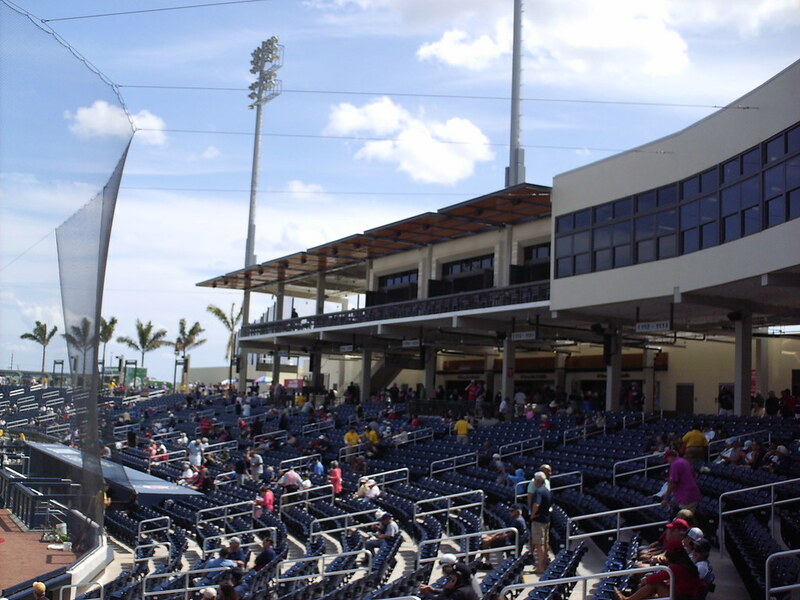 Luxury suites and covered party decks sit at either end of the pressbox on the second level of the ballpark. 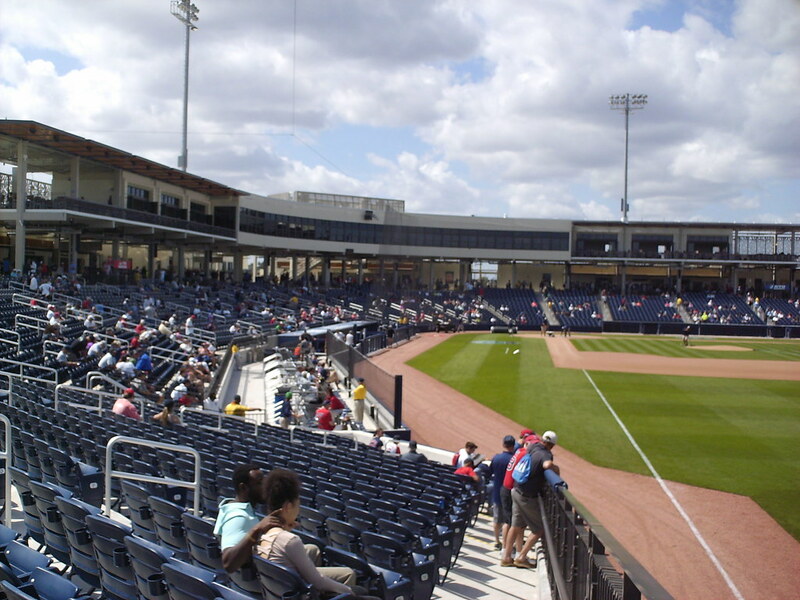 Several tiers of picnic table seating wrap around the left field corner at the end of the seating bowl. 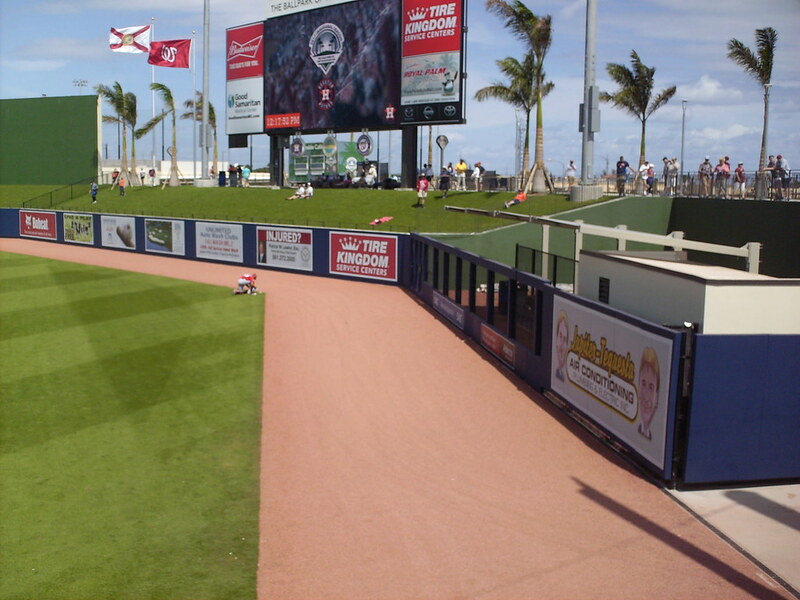 A covered bar sits along the outfield corner in left field. 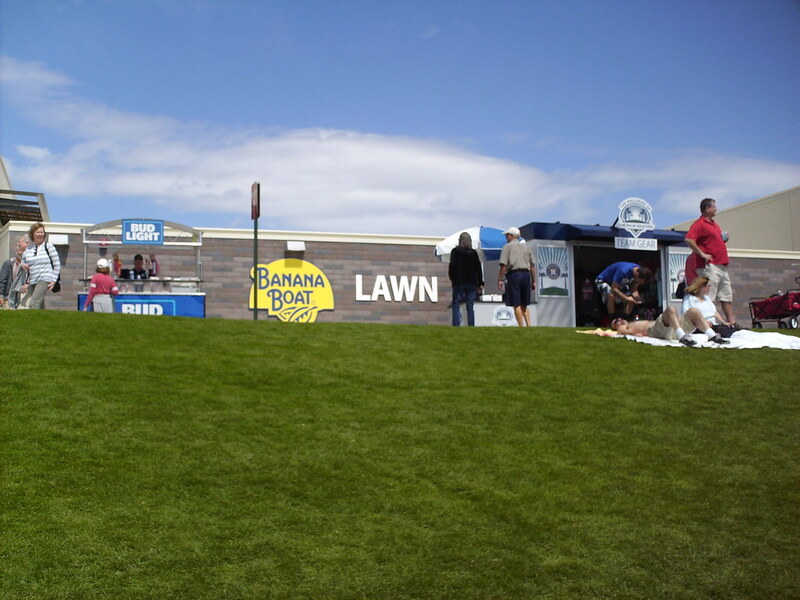 Lawn seating wraps around most of the outfield at FITTEAM Ballpark, with plenty of room for fans to lay our a blanket. 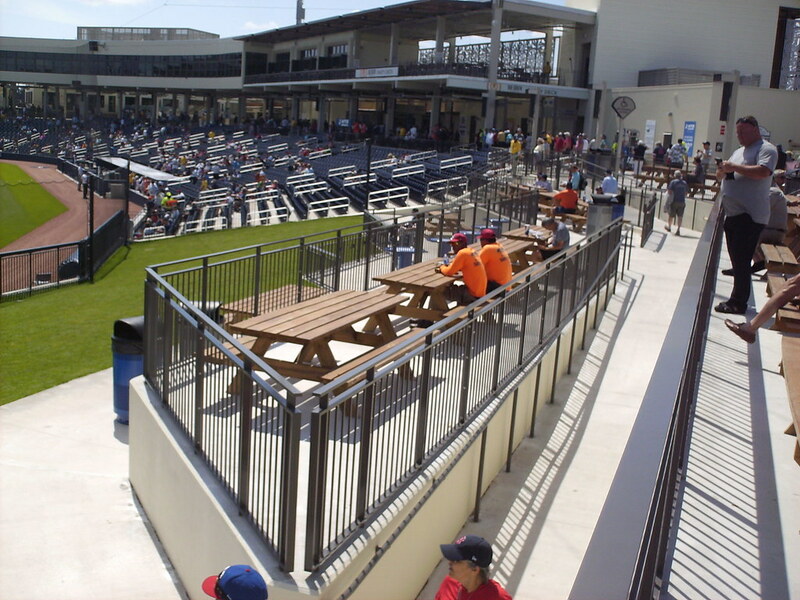 Patio furniture seating sits in the shade underneath the scoreboard at the top of the right field berm. 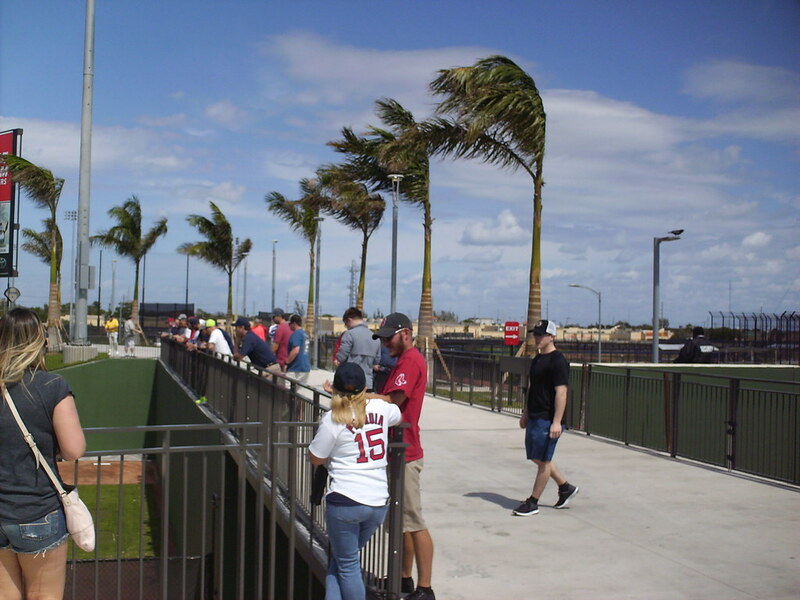 An outfield concourse bridge overlooks the Nationals bullpen inside the park and the Astros practice fields outside the park. 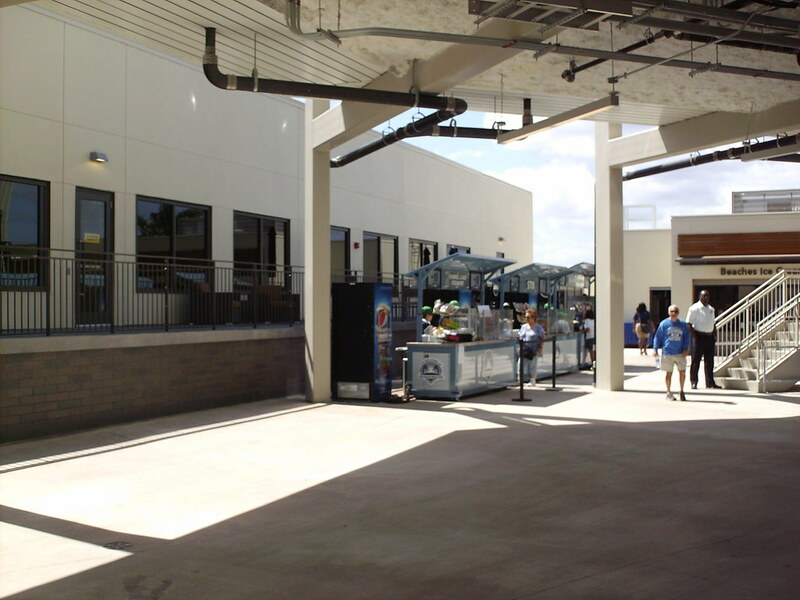 The main, open concourse at FITTEAM Ballpark. 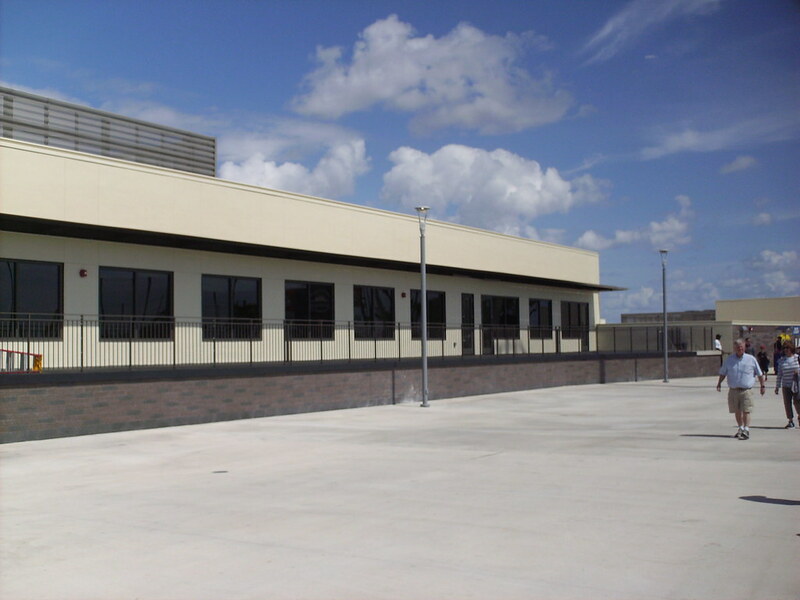 The Astros clubhouse overlooks the wide outfield concourse from the left field corner of the ballpark. 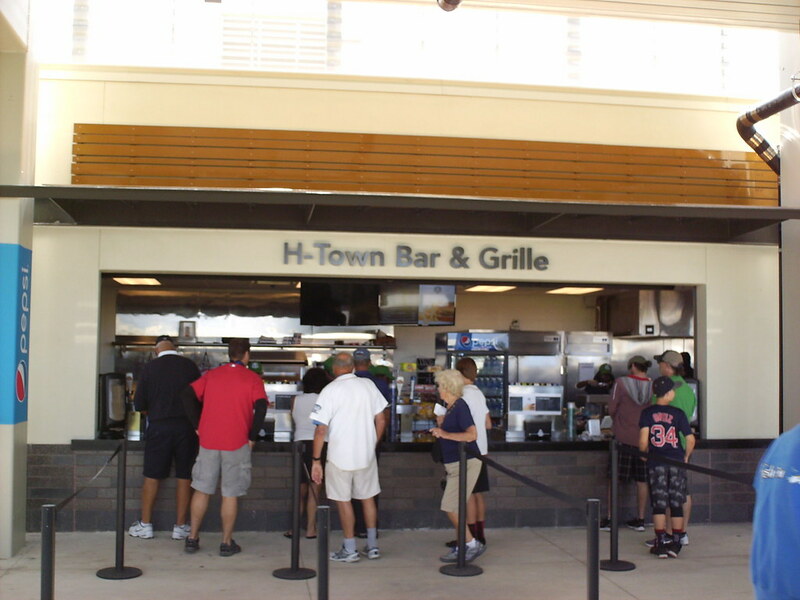 Houston themed concession stands run along the Astros side of the ballpark on the third base side, offering local Texas fare. 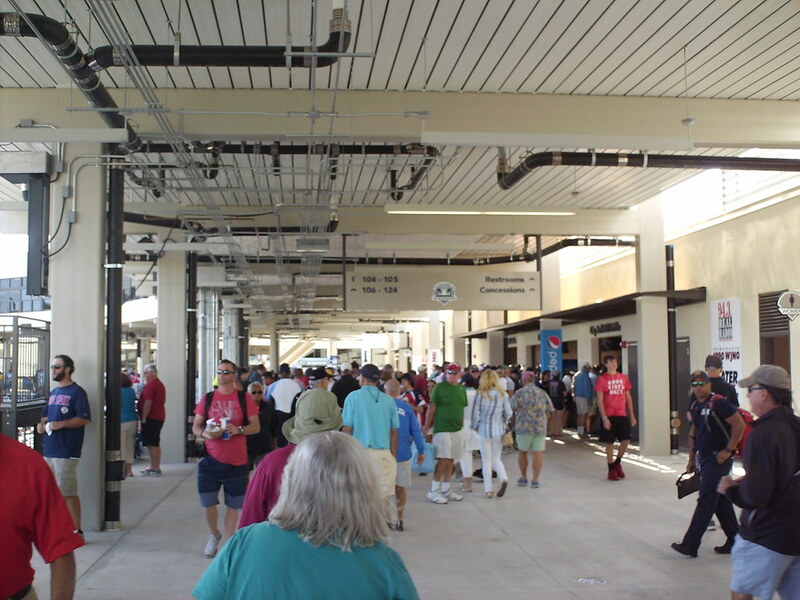 The Nationals clubhouse sits in the back corner of the infield concourse, behind home plate. 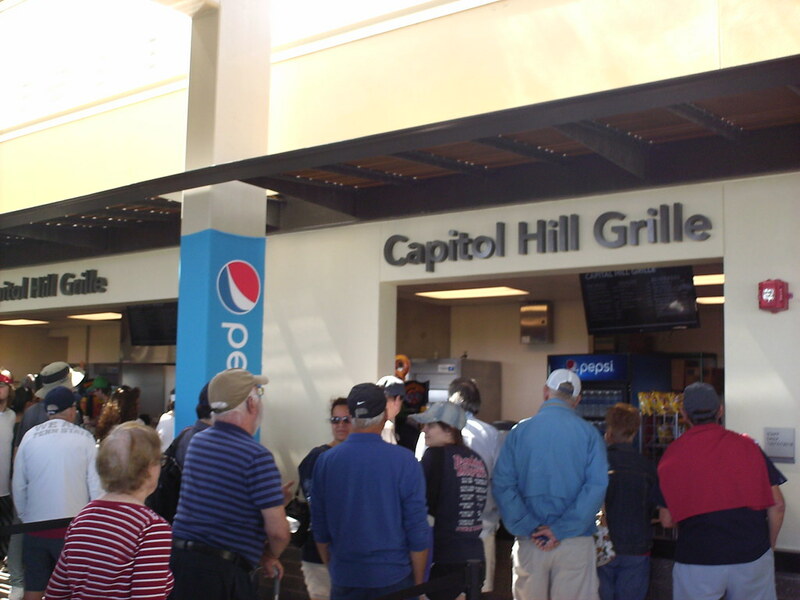 Washington DC themed concession stands sit along the first base side of the park. 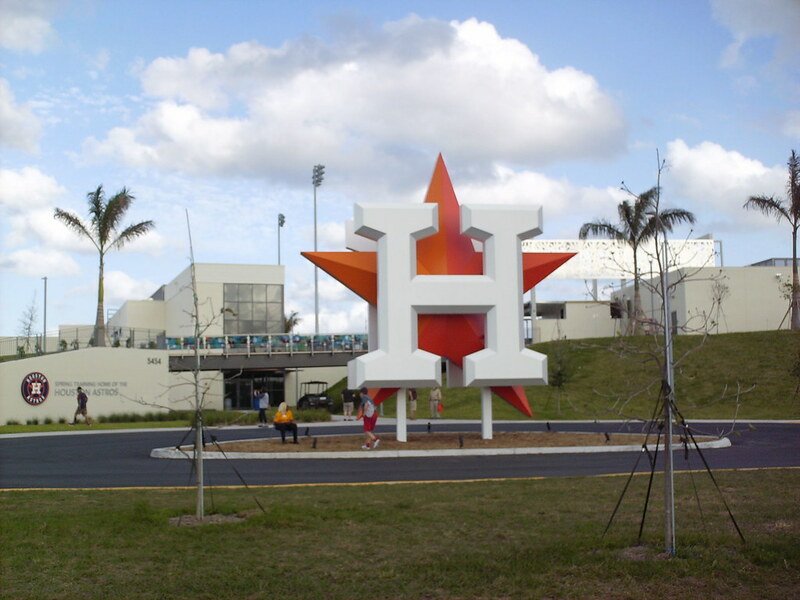 Large team logos for both teams stand outside the main entrance to the ballpark. 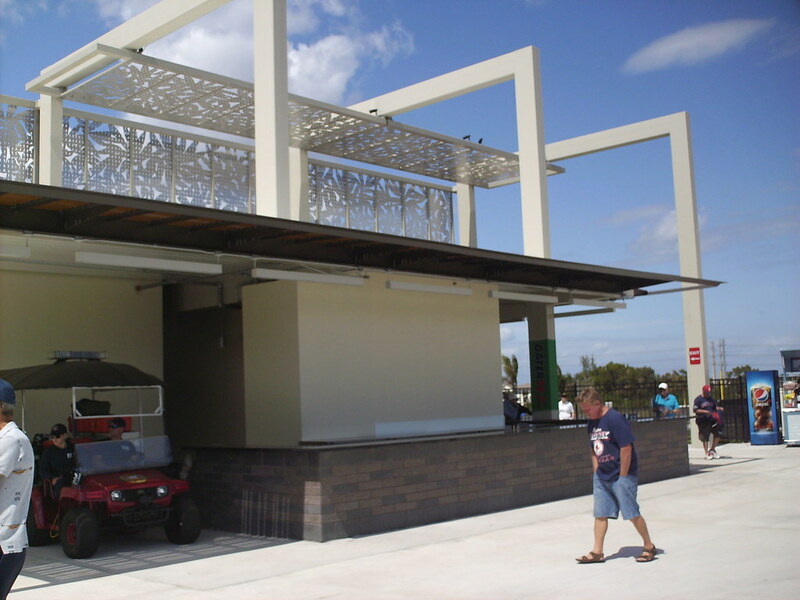 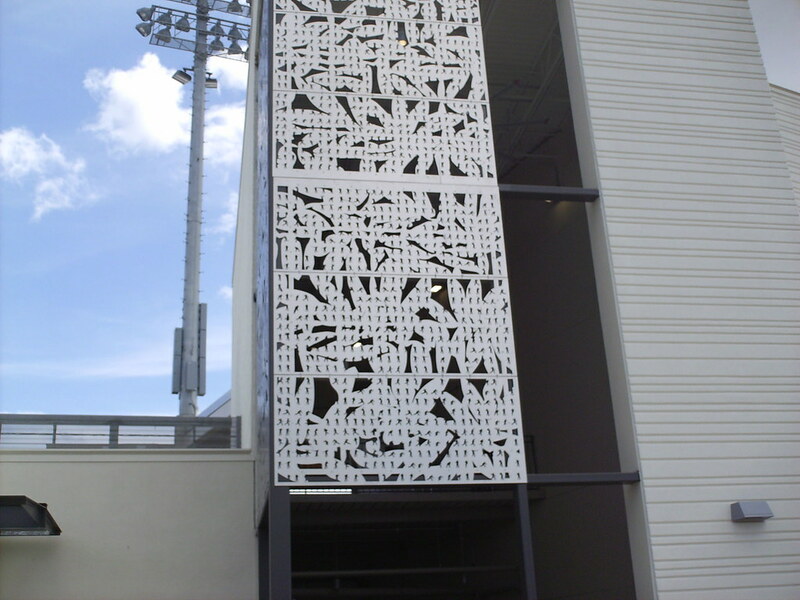 The park features several artistic touches, including metal plates featuring both abstract and baseball themed cutouts. 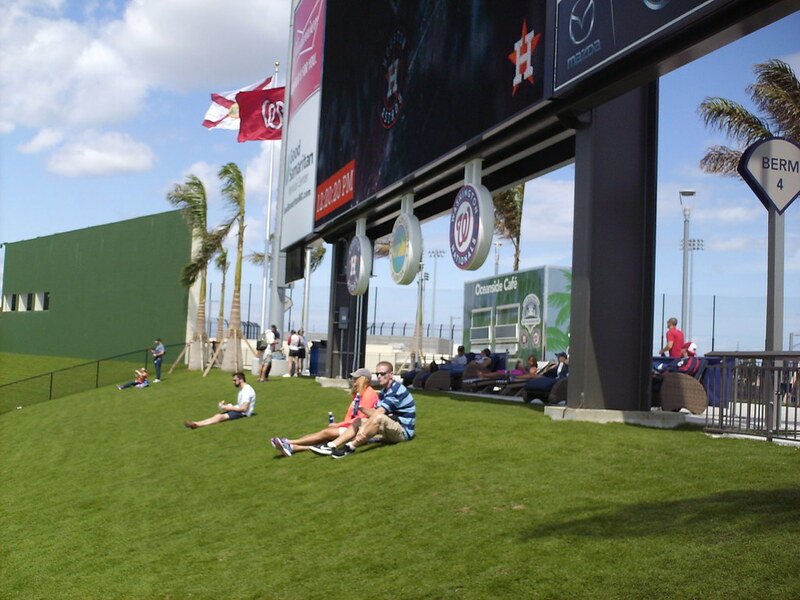 The outfield wall features several sharp angles as it wraps around the field of play. 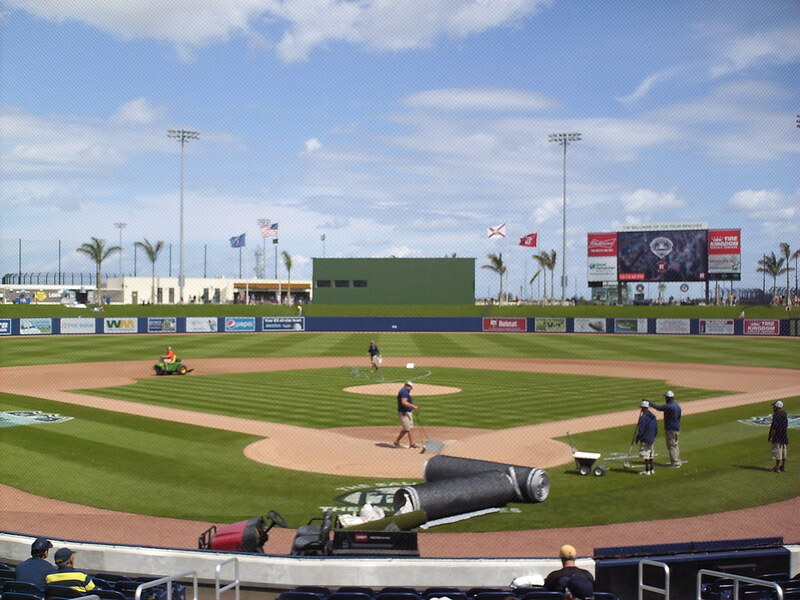 The Houston Astros on the field during a Spring Training game at FITTEAM Ballpark of the Palm Beaches.